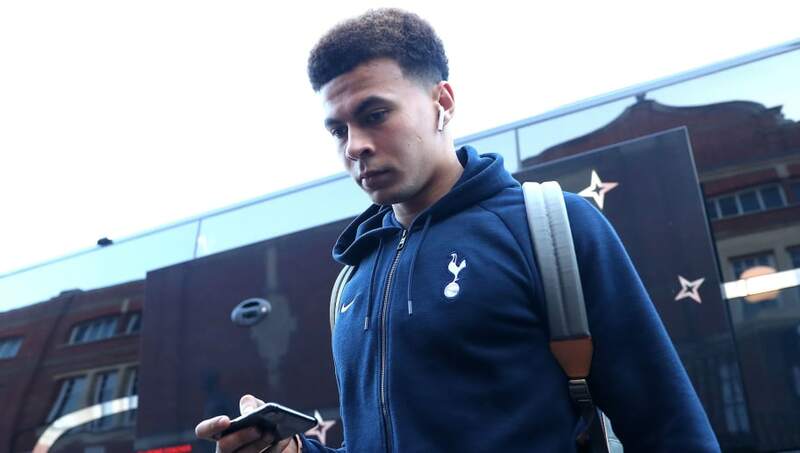 After a rough couple of weeks, ​Tottenham have been handed some much-needed good news, as it has emerged that midfielder Dele Alli is back in training for the first time since suffering a hamstring injury in January. The 22-year-old was forced off in the 2-1 win over Fulham on 20 January, and was sidelined around the same time as top scorer Harry Kane, who has returned to start their last two matches. And it seems as if Alli could soon be joining him back in the side, as ​Sky Sports claim the midfielder is back in full training. It's thought that Tuesday's trip to Borussia Dortmund, with ​Spurs holding a 3-0 advantage from the first leg, will come too soon for him, but he is in contention to return for the trip to ​Southampton on Saturday. The respective returns of Kane and Alli were expected to act as a catalyst in Spurs' title challenge, but it now seems as if this will not be the case, as one point from their last three matches have seen them slip ten points behind leaders ​Manchester City. Rather than a title race, it seems as if they will now have to contend with ​Manchester United and London rivals Arsenal and Chelsea for a top four spot, as Ole Gunnar Solskjaer's side sit just three points behind Mauricio Pochettino's men, with the Gunners just a point further back. They do, however, look set to advance to the Champions League quarter-finals, with Bundesliga leaders Borussia Dortmund facing a huge task if they are to overcome the north London side's three-goal advantage in the second leg of the tie.